What’s now understood is that there’s a correlation, a connection that exists between the most significant events of our lives, and the reoccurring illnesses that we suffer. We all age at different rates, and it’s thought that the key contributor, are the hardships that we experience during this journey through our lives. The struggles that are associated with them. So what’s investigated are the causes, or a chain reaction of causes, that are known to contribute to the elevated stress and anxiety levels in our daily lives, along with what action we can take, to alleviate them. What’s also known, is that there are certain types of stresses, which are completely unavoidable. For many, stress is not welcome, while most have no idea how dangerous it can be, this especially if it remains in the body long term. Certain parts of the body begins to deteriorate, causing unhealthy adverse effects. Where stress begins and ends is in the brain, where there are sudden incidences of unexpected surges, once we begin to feel anxious. Once the stress hormones are released, then sleeping, concentrating, or relaxing can be affected. 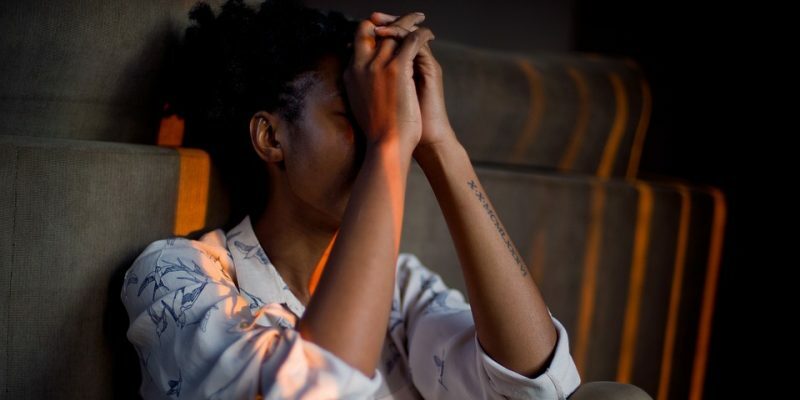 Although small amounts of stress is needed and helpful, this to provide motivation or a jolt of energy, what’s known is that the human body can’t accommodate extended stress over long periods of time. So what needs to be known, are the major causes of stress. The state of our finances, is one of the key causes of stress. Almost everyone is affected, such as potential major purchases that need to made, like buying a house or a car, which are big concerns. The bigger stress however, is the lack of money or worse, mounting debt. Younger people fret when needing to pay for an education, or worse, the accumulating student loans. Older individuals worry about their retirement, income and savings. What goes hand-in-hand with ones finances, is their chosen occupation, the career that they’ve picked. The stability and the income of their jobs, is a constant source of worry. What activates the stress, is keeping their jobs, earning more, or advancing via promotion. Another stress point is worrying about an increased workload, which leads to more responsibly. The struggles of climbing the corporate ladder, becoming overwhelmed by their demands, the work conditions which are constantly changing, and coworker conflicts, are all contributors. The saying rings true that “you can pick your friends but not your relatives.” Family, regardless of how great and comfortable they might be, are another cause of stress. Arguments can easily erupt with any family member, siblings, relatives, and more usually the spouse. Parents get separated or divorced. Children marry those you don’t like. The ebbs and flows that family life provides, is constantly filled with conflict and chaos. Children grow up, you grow old, they move out, and you feel abandoned. The health of family members such as illness, serious injury, or mental struggle all activates stress. Changes in family dynamics such as job loss, can cause angst. Personal issues which may be directly or indirectly created by others, can lead to stress. The lack of control one has, is on the top of the list of concerns. What we want as humans, is a deep rooted desire for us to control our own destiny, to make our own choices. But if we ever lose that freedom, once this control is taken away from us, is when we experience stress. For most, the lack of control over our lives leads to annoyance and concern. What we all want is to dictate own own fate, how or when we do things, this around the home or at work, but that’s not always possible. What we also want is to control our time, rather than allowing others to do so for us. But there are constant demands and circumstances, that are beyond our control. Some claim that their personal health, is the leading cause of stress. This worry is linked to their obesity, longevity, or that medical issue they currently have, which they know nothing about. For others, the stress can be generated by certain personal bad habits which affects their health, and they know they need to change. Instances include smoking, drinking too much alcohol, or recreational substance abuse. If there’s any type of illness or injury, this whether minor or acute, or issues with incontinence, they can also become ongoing concerns. The degree of stress depends on how serious things are, including our personal outlook. Personal safety is also important. Women especially tend to stress when it comes to their safety. Older adults stress more than younger people, as they are more vulnerable. Crime and the unknown are big factors. It can be a marriage which leads to separation or divorce, remarrying, or uncontrollable children, which can all lead towards various levels of stress for many. What we all want is everlasting love without conflict, and we hope that it’s potentially possible in every relationship. Finding it however, has proven to be elusive. Some will resort to online dating as it’s easier to get “dumped,” and not be as painful. Others will just withdraw and become reclusive. Regardless, these major stress points aren’t independent, and will compound into each other when growing older. The causes of stress usually changes as we age. Children who once threw temper tantrums when young, will grow into students, who become stressed out by that upcoming exam. Teenagers become stress by their appearance, if they’re liked, while raging hormones and peer pressure interferes. Full grown adults attempt to handle the stresses, which are associated with living life and aging. Regardless, various degrees of stress for a variety of reasons, will persist throughout our lives. So knowing the causes of this angst, and then avoiding or handling them, becomes important.